Max Brenner is indeed known as the bald man, and gained inspiration for becoming a chocolatier from Charlie and the Chocolate Factory. The Max Brenner chocolate shops originated in Israel. The company behind this chocolate sensation in Israel is the country's second largest food and beverage operation. 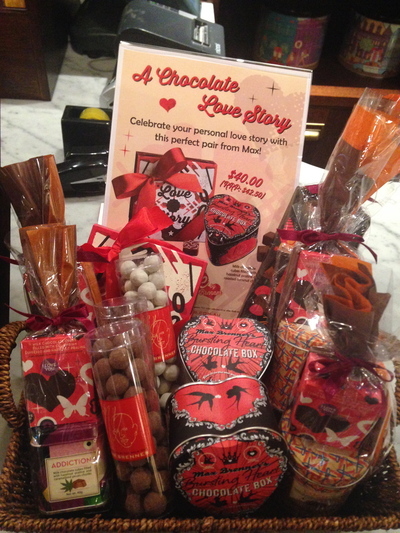 Max Brenner also operate their chain of chocolate shops in Australia, the Philippines, Singapore, and in the USA. 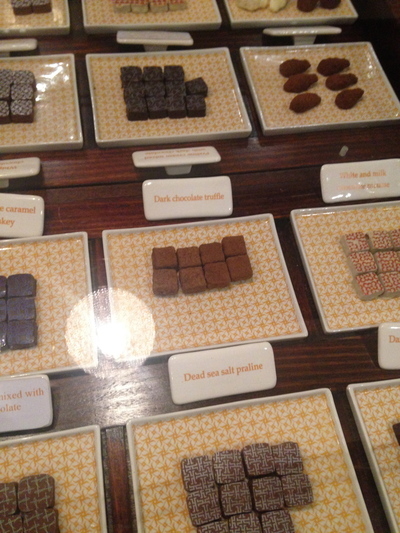 It was from that thought of wanting to grow up in a sea of chocolate at the age of 10 that Max Brenner became a chef. He learnt from the greats in Paris when it comes to chocolate and Nougats to name. One of the first Max Brenner chocolate cafes to open in Australia was in Sydney's Metcentre in around 2003 - 2004. The largest Max Brenner chocolate shop in Australia is located at level 6 in Westfield Sydney, of which opened when this shopping centre gained a revival from the old Centrepoint in December 2010. 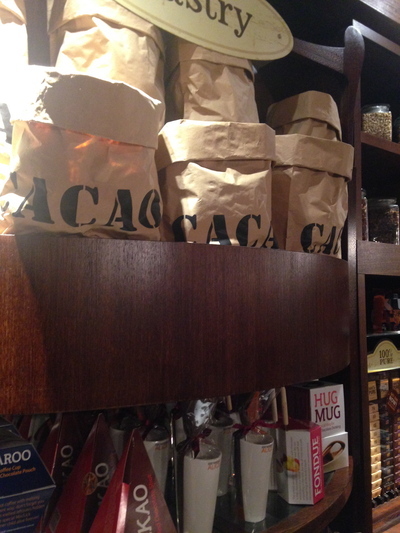 In fact, there were two Max Brenner chocolate shops in Westfield Sydney, until the second (smaller) store inside David Jones on Elizabeth Street recently closed their doors, as at the time of writing this. Otherwise many Max Brenner chocolate shops and cafes are scattered in a diverse range of Australian cities and suburbs, including a University campus. 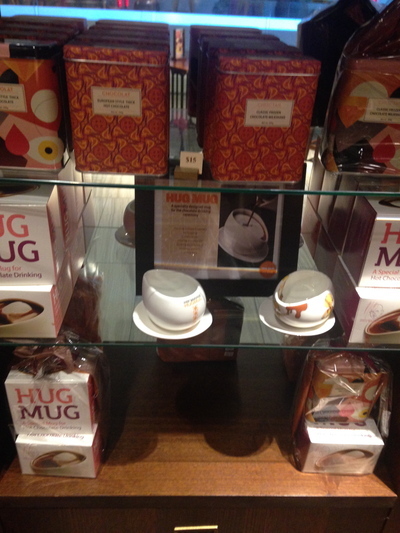 Max Brenner is know for their hot chocolate hug mugs, and for their chocolate licks. A diverse range of gifts can be purchased from the bald man, including a chocolate and hazelnut candle from his body range. The range of gifts also include a chocolate fondue set to some chocolate bubble bath. On the latter, you don't smell like chocolate as soon as you get out of that relevant bath - only in the middle of your relevant bathing session. The Radisson Blu hotel in Sydney is the only establishment outside of Max Brenner where you can enjoy a Max Brenner Hug Mug hot chocolate, and also an alcoholic Max Brenner cocktail called a Choctail. The only hotel where you can also enjoy a Max Brenner alcoholic treat. 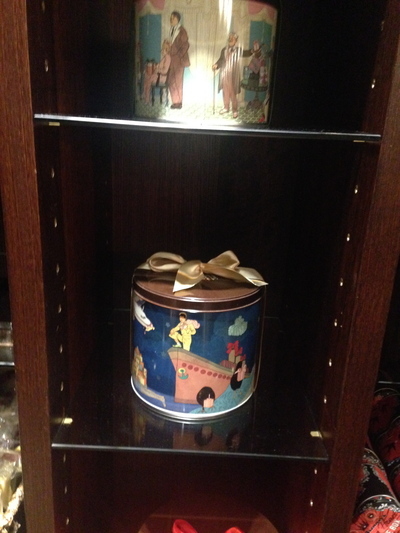 Guests who have stayed at The Vibe hotels in the past have been treated to a Max Brenner kit with certain hotel stay packages in the past. 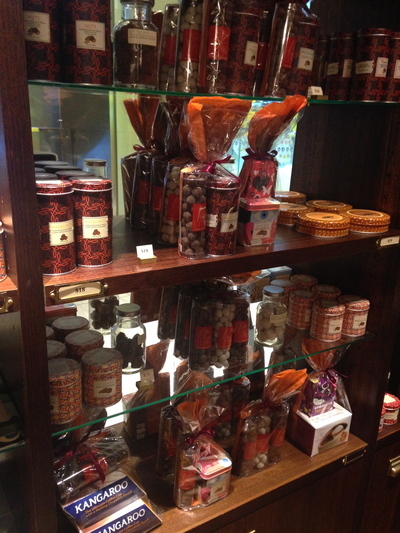 Max Brenner is also well known for his chocolate and nut tin range. The caramelized pecans with fine cooca powder pieces are excellent. 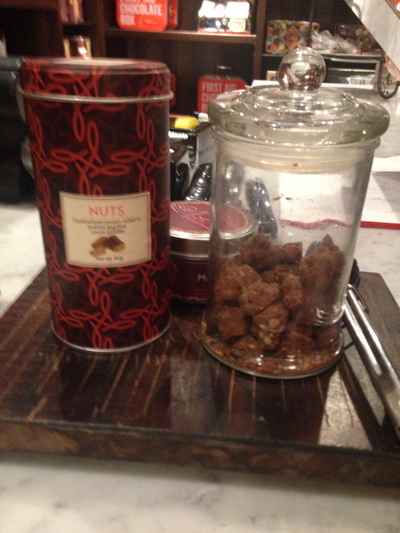 The nuts are scattered throughout the chocolate, infused with a strong cocoa butter flavour. This product sells for $18 in Australia. 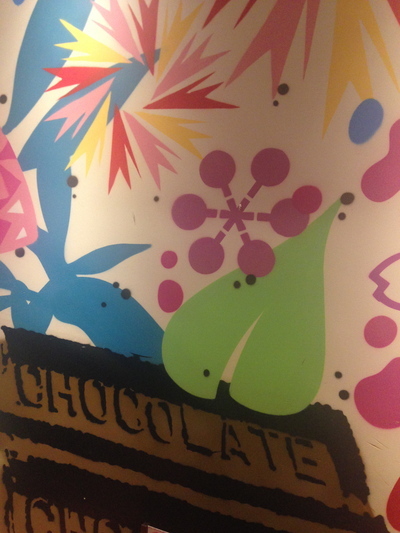 A very positive, arty chocolatier.